If the title worries you that I may begin waxing poetic…. don’t worry. My word-smithing is more direct and not as open to interpretation as most poetry is. And to be honest trying to emulate the styles of any poets I admire (of which there are admittedly few) would be a wasted effort. 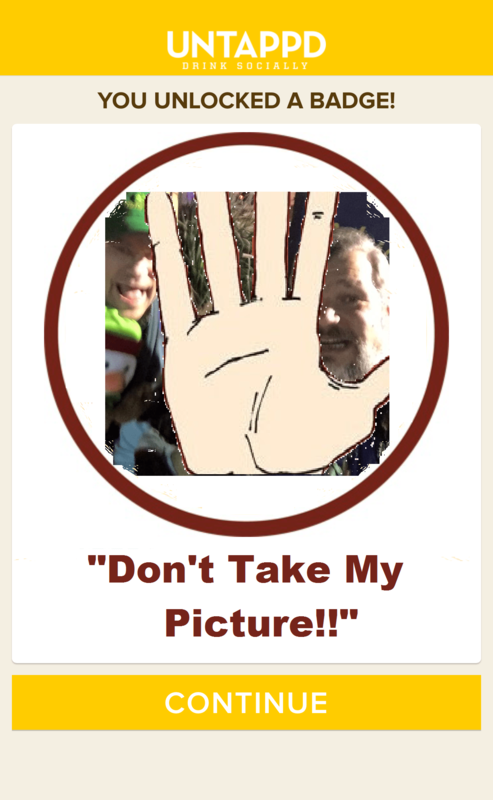 And I like to add visual aids to my posts to drive home my point… Like this one!! If you are a craft beer fan then you probably have an App on your phone. You may use this App for keeping track of beers that you like with a rating system. You may use it to find businesses near by that sell craft beers. You may use it to find specific beers that you are looking for, There are other uses for Apps as well. Some craft beer bars have their own Apps so you can track the beers you consume in their establishments and see how many points you have toward their next level/prize. My fellow beer bacchanalians and I primarily make use of the Untappd App for various reasons, one being that we can use it in multiple places. 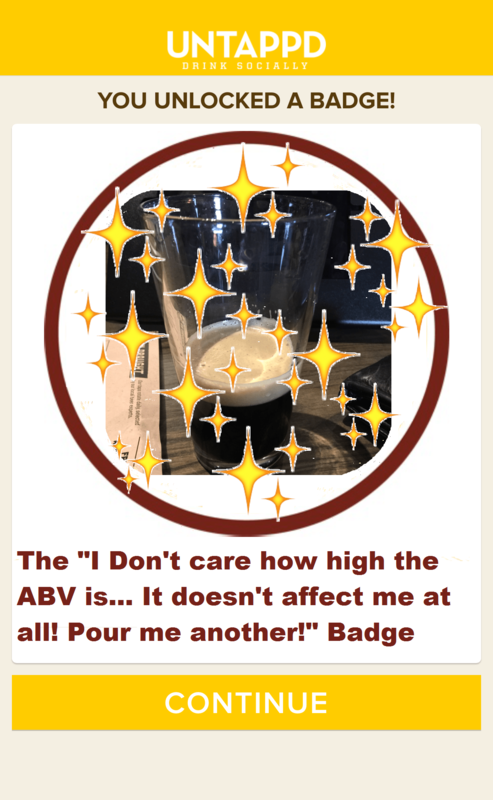 Another is the addictive nature of the App because as you try more and more different styles and brands of beer you get badges. 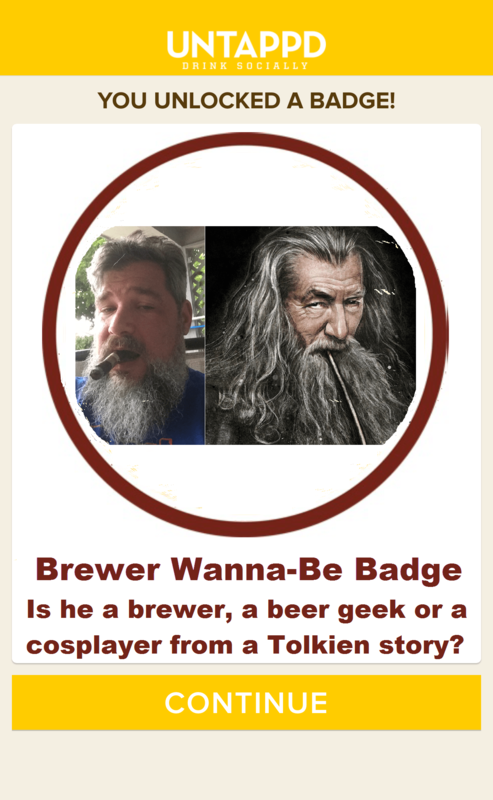 So it has the usefulness of helping track and find beers, as well as a bit of a social media touch with the friends aspect attached to it, but also has the addictiveness of a game. While I am talking specifically about this App, this is in no way an endorsement of this particular App or any other App for that matter. 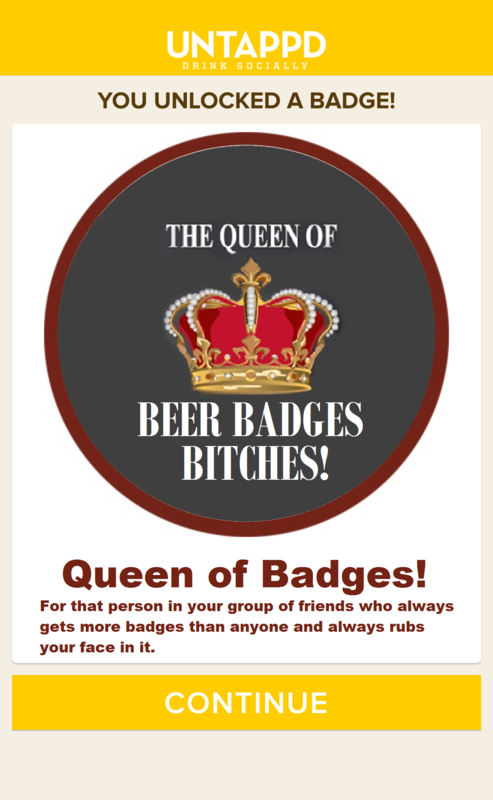 In fact there was a point where we were so focused on getting badges we weren’t anywhere near as concerned about the quality of beer. 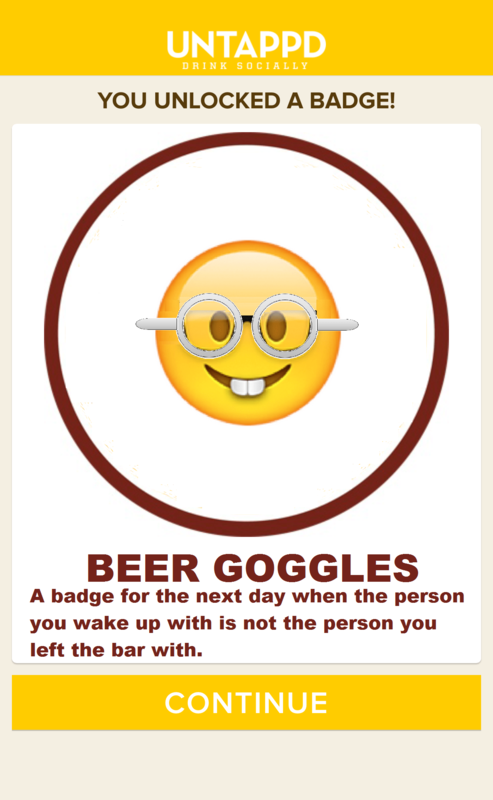 Both the Doctor and I would look at upcoming or newly created badges and see what beers we would need to get them. 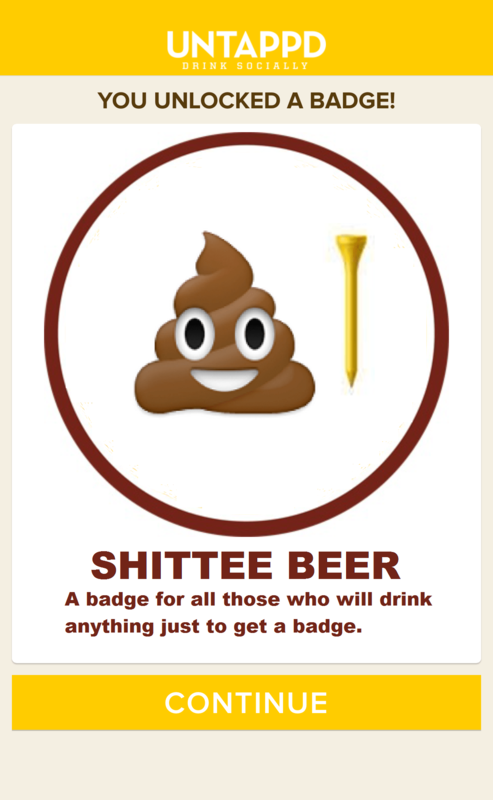 In honor of the craziness we experienced with this App and other similar Apps out there, the following is a list of Badges we would like to see Untappd make available (but probably never will because they are really too appropriate for our group). 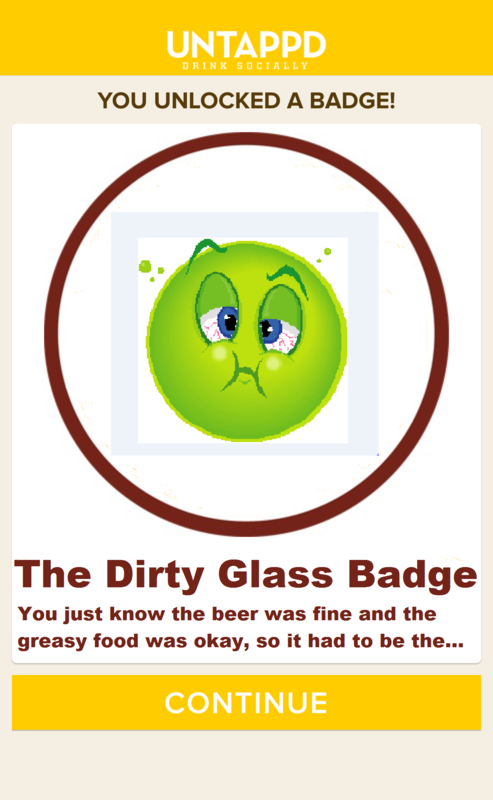 For all the nasty beers we drank just to get a badge. A habit which has now fallen by the wayside. Life is to short to waste it on a nasty beer! 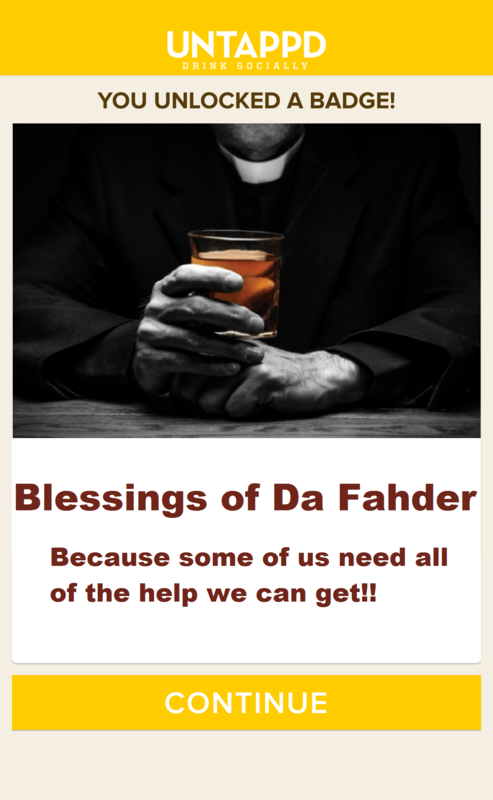 One of our haunts has a priest who visits and works on his paperwork while he enjoys a brewed beverage. If he’s there when we stop in we take as a sign of good luck. If you use this App, or one like it, with your friends, then you probably have that one friend who leads the pack in badges and has to let everybody know about it. We all also have that one friend who doesn’t want their picture taken or to checked in on Facebook. The reasons ay vary but you know you have one. 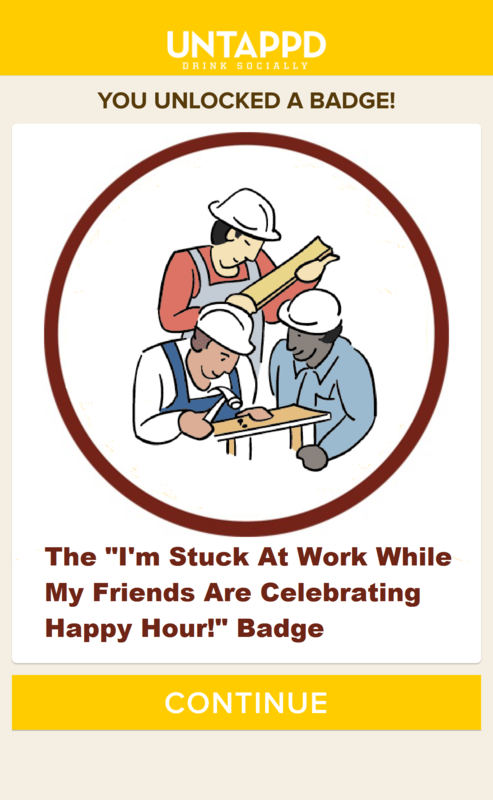 You also probably have the friend who works the job where the hours aren’t 9 to 5, so they often are absent when you are out trying to collect badges. This one is for them. This is for the friend who has a rotating schedule and only drinks every other week. 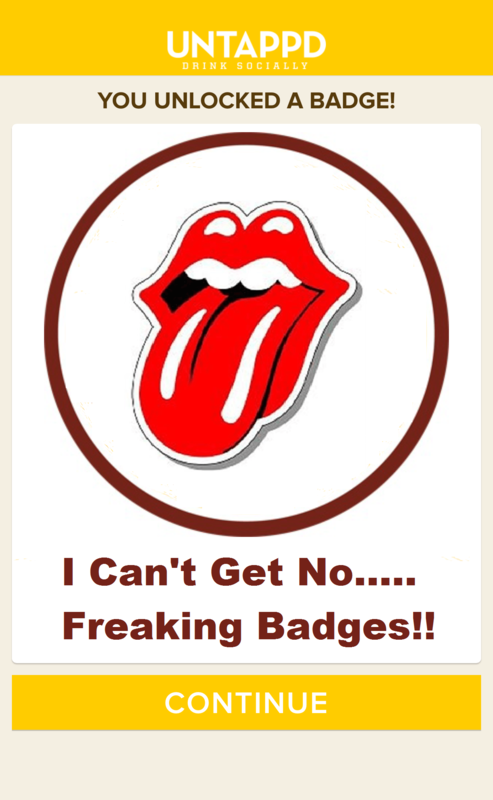 So their badge collection suffers. Karaoke and beer go together like ham and eggs. 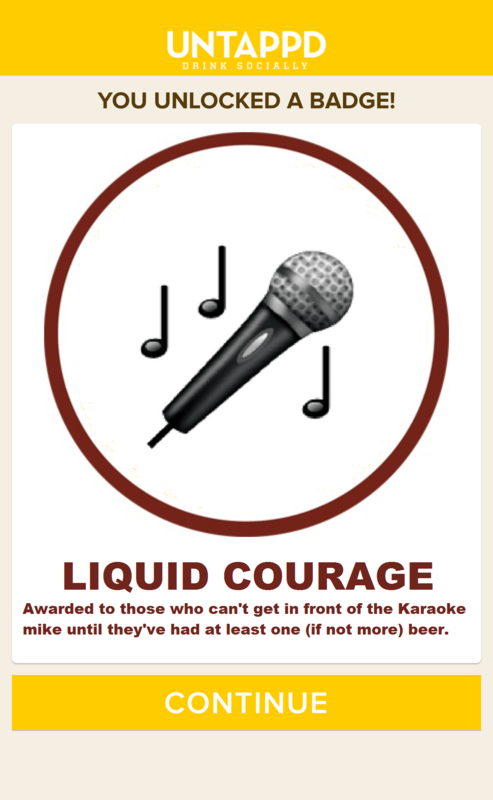 Some times this can accompany the karaoke badge. But it also can stand on it’s own. This is for the brave souls who really just don’t know their limits. 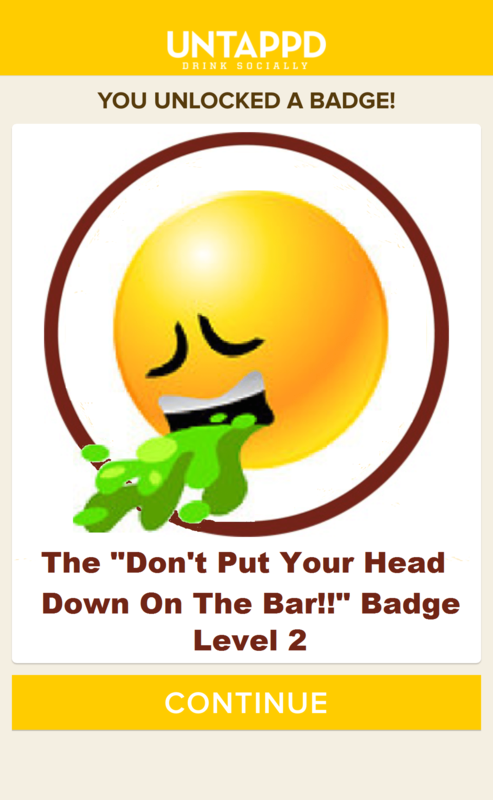 This probably ends up accompanying the High ABV badge. Unfortunately these two badges come as a set. I don’t think it’s intentional it just turns out that way. Every group of beer drinkers has the one guy with the long beard. Mea culpa! And finally this either for those who don’t use the App. 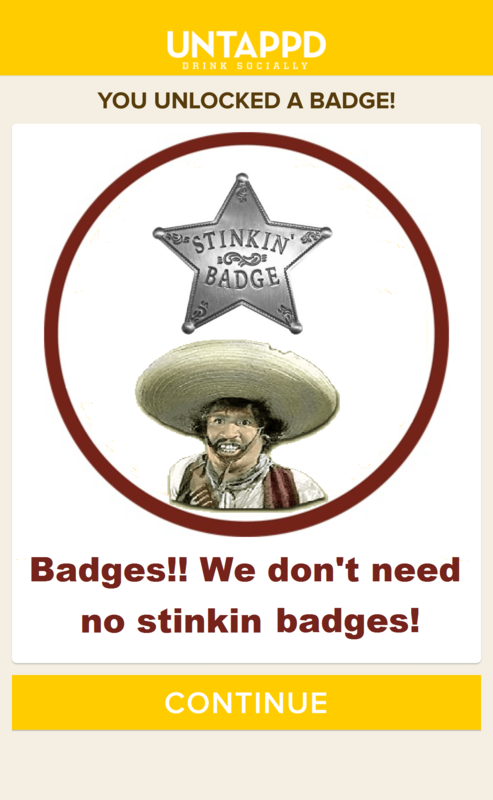 You have a badge waiting for you. 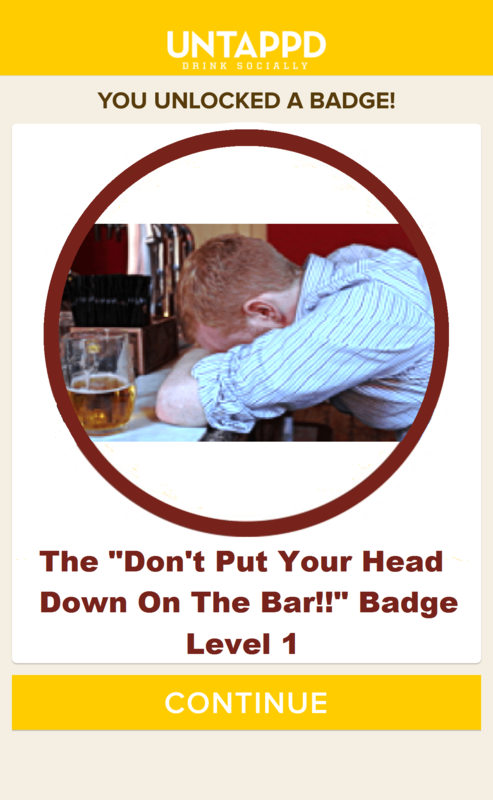 It can also be applied to those who have finally quit keeping track of how many badges you have. But then you would probably never know you got it. 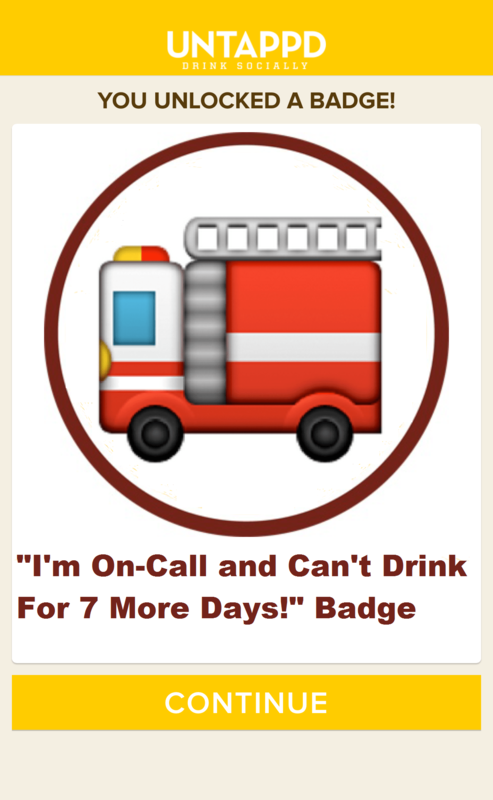 Whether you use this App or another, enjoy the beer and the camaraderie, the badges can wait.